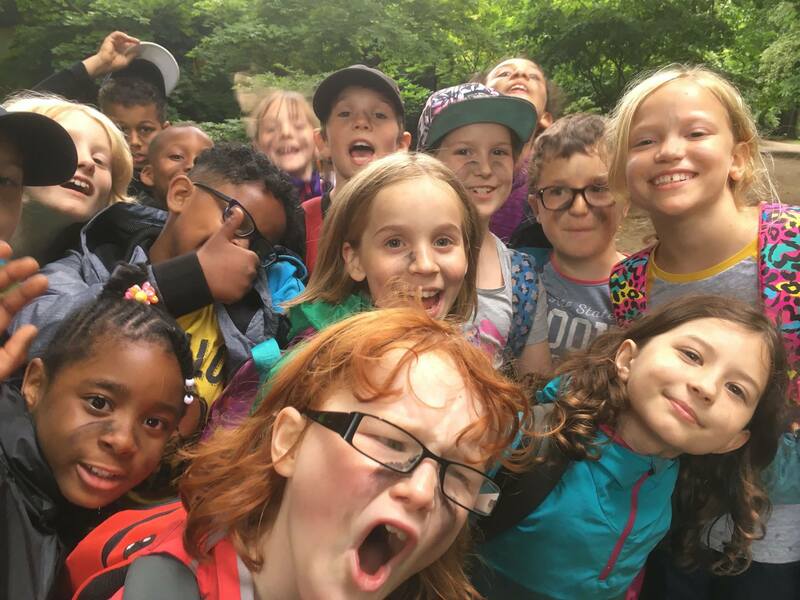 Bringing your class to a Wild Learning adventure day will not only be a huge amount of fun, it will also inspire, challenge and support them to develop practical learning and problem solving in a completely different context to the classroom. We have been working with school groups for over five years. Some come for one-off days – as a class-reward or for a teamworking and class bonding session. Others come for three or four sessions to cover a range of topics and activities. We also work with schools to deliver ongoing programmes of sessions every week of the term – with bespoke plans linked to specific learning objectives and curriculum areas, tailored for the relevant year group. ”Could you thank all your staff for the wonderful day and the experiences that you gave our children. They went home exhausted but buzzing from all the fun that they had. Many parents came in the next day to say that their children couldn’t stop talking about it! ”Once again thank you for a fantastic day. Lower school is ringing with approval of the day and our Senior Leadership team and Board of Directors have heard of your wonderful work. Wild Learning only use qualified professionals (Forest School Level 3 or equivalent) to lead our activity days. Our leaders also have enhanced DBS certification and REC2 Specialist Outdoor First Aid qualification. They are all experienced in leading groups of children in the outdoor environment and make sure all children participate, are engaged and are having fun. We have been working with school groups for over five years, as well as running adventure days for children in the school holidays and half-terms, welcoming over 8,000 children a year. We have licenses to operate in multiple sites across London and the South East (we can also site-check school grounds if you would like us to visit you instead). We carry out an annual risk assessment of every site where we operate, as well as conducting a daily risk assessment of the site before every session we run. We have comprehensive policies and procedures in place that include Risk Assessment, Health and Safety, Confidentiality, Child Protection and Safeguarding. ”My staff came back buzzing about the whole experience. Why should schools be interested in taking their class into the woods? Engaging children with the natural environment stimulates the senses, emotions and imagination. It develops confidence, resilience and independence. But today only 21% of children regularly play outside – compared to 71% of their parents when they were children. Research from around the world shows that regular time spent outdoors has significant positive benefits to mental health (reducing stress and anxiety, enhancing self-esteem); physical health (bone and muscle strength, flexibility, maintaining a healthy weight); and to personal behaviour (concentration, creativity, learning ability, teamwork and social skills). We are happy to provide more information and discuss your particular requirements.